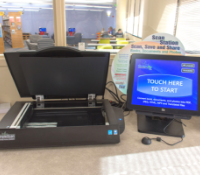 You can print from any library computer, including library laptopsopens a new window. You can print wirelessly from personal devices, such as laptops or mobile phones, by using this form to upload your files to print. Black and white copies are 10¢ per page. Color copies are 25¢ per page. 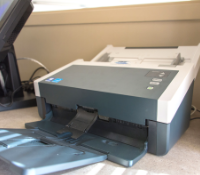 Fax machines are available to use free of charge at every library. 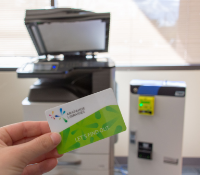 Every library has a scan station capable of scanning and sending to an email address, saving to a USB drive or saving online. There is no charge for this service. 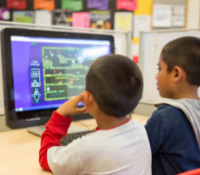 All libraries, including the bookmobile, offer computer and internet access to the public free of charge. Please read our Computer and Internet Services FAQs for more information. Read more about our internet policies on our Privacy Guidelines pageopens a new window.